Our traveling video series returns with “Why Longboat Key”. When Jack and Nancy Rozance retired, they moved from Sacramento, California to Longboat Key. 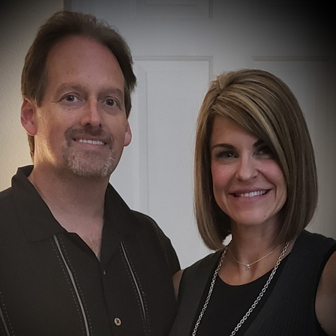 The couple sat down with us to share why they chose LBK and what they love about living on this beloved barrier island off the coast of Sarasota and Bradenton. From the beautiful scenery, to their volunteer work, and benefiting from all the nearby amenities of Southwest Florida, they explain why they think they’ve finally found paradise. Learn about some of the causes and places Nancy and Jack love to frequent. Rotary Club of Longboat Key : Rotary is a unique organization of 1.2 million people worldwide, united to provide humanitarian service and help build goodwill and peace. The Longboat key chapter works to address issues such as children at risk, poverty and hunger, the environment, illiteracy, and violence. The Longboat Key Turtle Watch is dedicated to finding and protecting turtle nests along the beaches of Longboat Key. The Longboat Key Club: Local residents enjoy becoming members at the AAA Four-Diamond resort that encompasses 410 acres on the southern end of the island. Members enjoy an array of privileges across, including access to our championship golf courses, the Tennis Gardens, and full-service beachfront. Located an hour or so north of Longboat Key, the pro-football team Tampa Bay Buccaneers compete in the National Football League and bring in fans from all across the region. Longboat Key lies in two counties with Manatee to the north and Sarasota to the south. The island was incorporated into a township in 1955.